You must make reservations at least 5 minutes in advance of the time at French Market Grille. Invite us to your next dinner party, cocktail reception , or office luncheon. We’ll be there with our award-winning cuisine and a menu custom-designed for the occasion. French Market Grille is an affordable, neighborhood restaurant where friends and families could gather several times a week for casual dining and good company.We invite you to sample our award-winning cuisine, to linger over a bottle of wine and enjoy our cozy atmosphere. We offer specials every day. Open Seven Days a week for Lunch and Dinner. Food and service were excellent, we really enjoyed ourselves. Awesome find. We’ve been going here for 20 years. Patrick is a wonderful host. We love this place for business dinners. The atmosphere is warm and inviting and quiet so we can have conversations with table mates without shouting. The food is divine and the service is very European - time to eat and visit between courses. Wonderful! Hardly any French food offered, was disappointed with selection. Escargot bourguinionne were tepid, not much flavor. Thou the veal osobucco special was tasty(but not French). We spent $150 for 2 + tip, disappointed for the cost. The answer is "Yes" if they have a lot of money and a lot of time. We had a 6:30 PM reservation. Got seated at 7. Got out at 8:30. The place is obviously understaffed for events such as Valentine's day; We experienced the same during San Diego Restaurant Week a few weeks earlier. The menu had far fewer items than the one displayed on their web site, which was disappointing. [2 desserts instead of 4!] Truth in advertising?! The Short Ribs were excellent! I'd recommend it, but not on a holiday! They really dropped the ball on Valentine's Day. Sub-par, all around. The appetizers and entrees were exceptional. 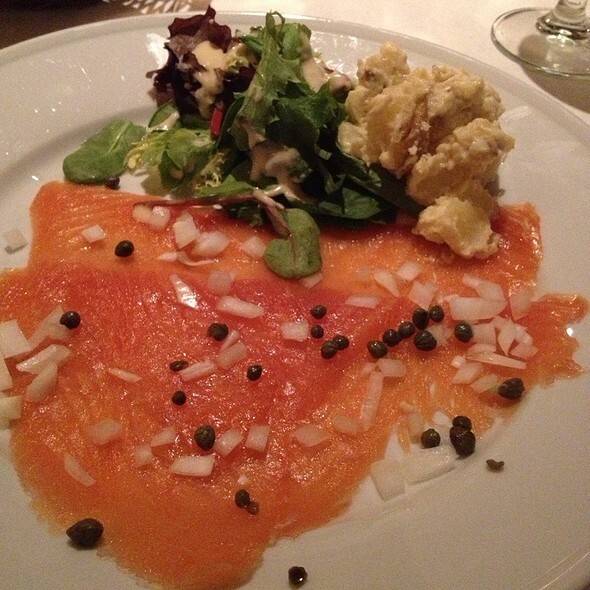 We ordered the field green salad and smoked salmon appetizers and they were delicious. The sea bass was well prepared and the assorted vegetables complimented the fish nicely. Also, we ordered a Pinot Grigio which went well with the meal. However, our 2 desserts were most disappointing. I’ve never been served ice cold fruit on ice cream. My dish of ice cream had hot blueberries on top and my husband was served a slice of cheesecake with hot strawberries which were still steaming from being microwaved. 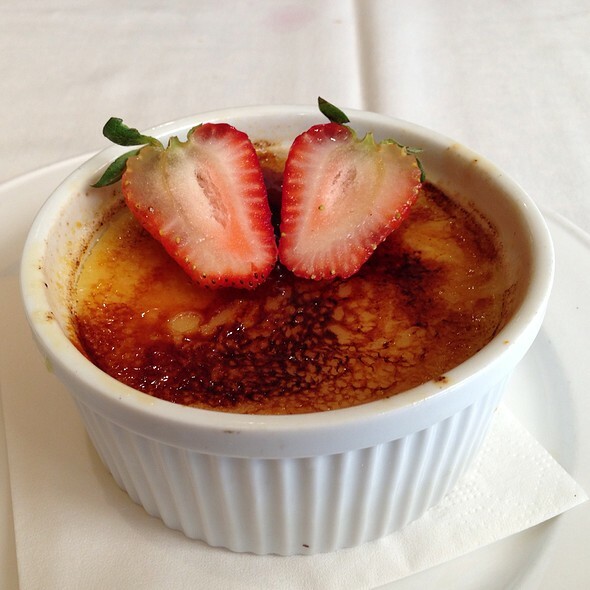 This was a total disappointment in the quality of desserts which we always look forward to at the French Market Grille. We took our family there for my birthday over the Christmas holidays and fortunately the food was fabulous as were the souffles which made for a wonderful evening. On Valentine’s Day, the most romantic night of the year however, they did not serve their signature chocolate or Grand Mariner soufflé. This was very disappointing. This is a great place for eating good food and enjoying the company of friends or family. Great french decor, intimate seating and friendly service for lunch or dinner situations. Fantastic wine list and good but not overwhelming lunch menu which can be adapted to your personal taste. 5 stars from me. Lovely quiet restaurant with great food and service. We were there for a business meeting, which was perfect except for the table next to us having a loud party all by themselves. Not the restaurant's fault, we would absolutely use them again for this purpose! Also great for romantic dinners for two! 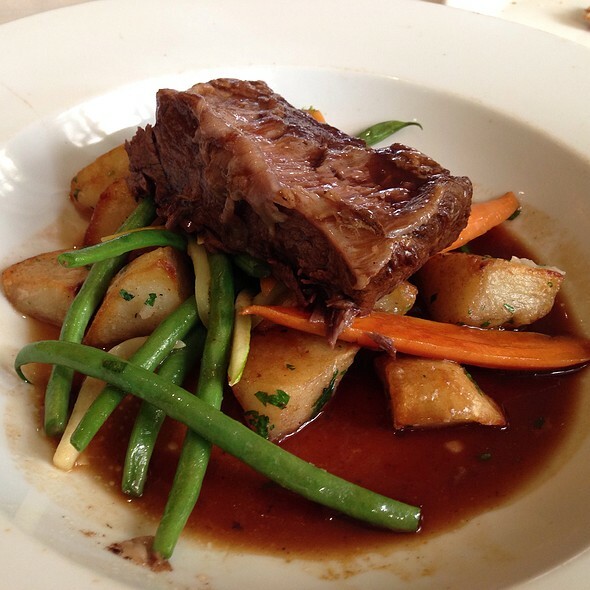 It's a bit of a drive but offers probably the best French food in the San Diego area. Appalling service. Owner/host is incredibly rude and incompetent. Reservations are meaningless and seating order is disorganized. Dining room is tight and relies on outdated "charm". Patio is sad and awkward. Food is small portions, stale and boring, presented badly. Terrible representation of French Cuisine. Patrons go for convenience and clearly don't know any better. 1980s stereotype. Never again! I agree with other reviews I read after patronizing this restaurant regarding the service. Wish I had read the reviews first. While the food was very good, the service was so terrible that we would never return. Once we were seating it was 10-15 min before anyone approached us. We asked for bread several times before getting some, and finally got 4 small slices of a baguette. When we asked for more, the server was quite nasty about getting more. The waiter refused to help my husband decide between two entrees, saying if he did not like the choice, the waiter did not want to be responsible. We were not approached by the waiter during the meal to make sure we were OK, and our water glasses were never refilled. Once we finished and had our check, no one came back to the table; so we had to take the check to the front of the restaurant and ask to pay. We were not the only ones to do this, as there were 3 other couples who opted to do that same. It was a Saturday night during restaurant week, and there were only 3 people working the front of the house. Our meals were served by someone from the kitchen. They were clearly overwhelmed by the amount of customers and did not plan their staff sufficiently. If restaurant week is a way of showing off your restaurant and bringing in new patrons who will be repeat customers, this restaurant failed miserably. Being in the service industry for decades I have a lot of patience with restaurants being busy especially during restaurant week. With that, I have NEVER gotten worse service at a restaurant. It was not even busy. Our server, who I assume is the owner was rude from the start. The entrees came out before we were finished with the apps, plates never cleared from the table, never checked back on when any food arrived, never offered another glass of wine..and was rude again when he brought the check and asked why my date hadn't eaten her dessert, which was terrible. Suprised they paticipated in Restaurant week as I believe it's a way to boost business when this place seems to not want that at all!! Although we had reservations, we waited 20 min to be seated. The service was horrible and the server was rude. She rushed my mom to make a decision on her dessert stating she "needed to put the order in now because they were very busy." Note that their dessert was pre-made for restaurant week and not made to order. They did not check on us; they just merely asked if everything was ok then cleared our table. There were only 2 servers, one busboy, and the owner helped serve and bus the tables. The presentation of the food was bad and looked sloppy. The food was ok. I would not recommend this restaurant. Extremely poor customer service. Totally ignored my concern if they would be able to seat me. I had reservation and arrived 30 minutes early. Others were still waiting 30 plus minutes beyond their reservations. Had the Owner/Manager bothered to answer my question I would not have wasted 45 minutes waiting to be sat outside on patio with fumes from heaters and still too cold to be sat outside. I walked out and the rude man got in my face when I voiced my displeasure. Totally not how anyone especially a 60 year old woman should have been treated. Delicious food, incredibly slow wait staff. We had not been there in years, but chose it to entertain our out of town guests. It was a perfect setting and the food was delicious. We were never hurried. Lovely place, charming owner, food just delicious! My husband and I have eaten here a few times, driving a fair distance from our home, because the food is delicious. 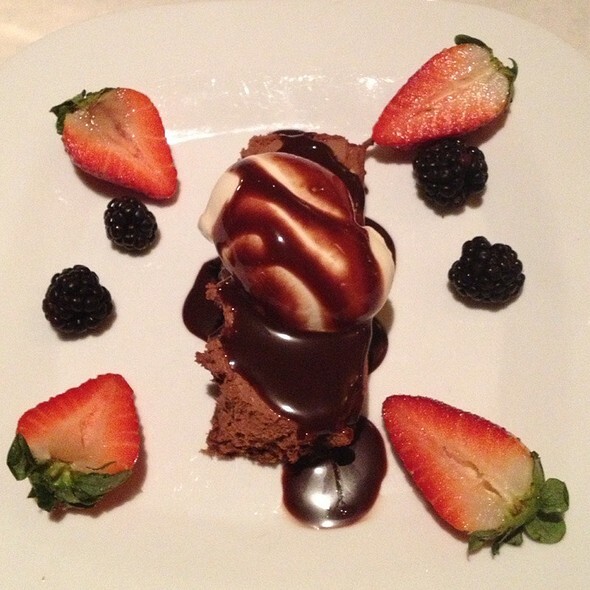 To introduce our friends to French Market Grille, we came with two other couples for San Diego restaurant week dinner. Several of the dishes on the menu were simply not available by the time we arrived. We were annoyed that the online menu was different from the menu placed in front of us. Not only were a couple of dishes different, but the additional prices quoted for 'upgraded' menu items were more on the menu provided to us than the prices listed online. That is simply deceiving the customer and leaves a bad taste. We and our friends agreed that if an entree on the menu does not fall within the restaurant's 'prix fixe' menu price, don't include the dish on the menu. Adding $8 - $10 extra for a couple of menu items defeats the notion of a fixed price meal. Or, have two fixed price menus, one being higher for the fancier options. However, the food was delicious. We went for San Diego Restaurant Week. The three-course fixed price dinner had great choices of Starter, Entrée and Dessert! I loved the Escargots Bourguignon starter -- It had some wonderful green spices that went great with to ample serving of bread. It was a worthwhile experience! 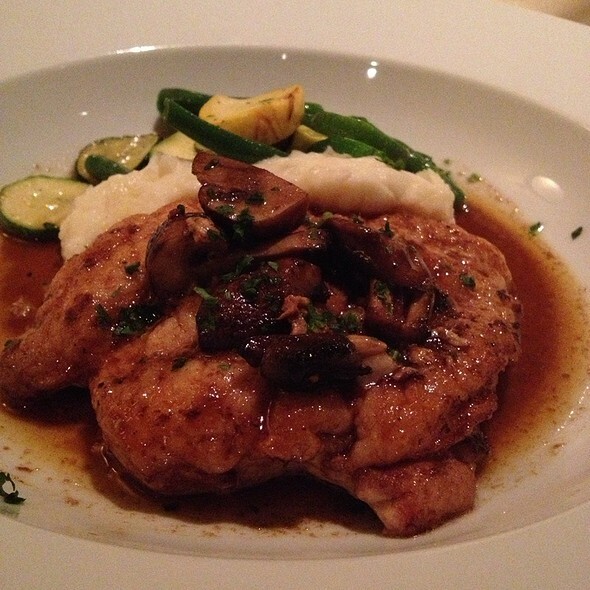 Beautiful and perfectly prepared dishes, impeccable service in a cozy setting. We had a wonderful evening. Absolutely delicious food. The best calamari and escargot my husband and I ever tasted. Very relaxing, quiet and quaint. Nice to actually be able to have all of this and be able to talk and hear the other persons at your table as well. Will definitely go back! Upon arriving at our reservation time we waited at least five minutes for someone to greet us (there was absolutely no other people in the restaurant when we arrived..other than the chef)! The chef finally greeted us and told us that the server was running at least 10 minutes late! The chef took our order as no server had arrived! I ordered the Cobb Salad and by friend ordered a salmon salad, as she loved the description on the menu. The owner showed up ( I guess he was the server) and told me that they did not have bacon or avocado for my Cobb Salad. I changed my order. Our salads arrived and my friends salad did not have the candied walnuts or apples..both ingredients that were in the salad description. Though the salads did taste good, the overall lunch experience was terrible as the owner sat on a chair talking on his SPEAKER phone quite loudly the whole time that we were eating. I will not be back as the cost was about $40 for two salads and we had to listen to the owners phone conversation the entire time! They never came over to fill our water glasses or check on us. Please note that there was only ONE other table with two guests so the restaurant was not busy for the service to be so bad! There are so many other wonderful options in the area that we will not be back to the French Market Grill! We eat here several times a year and have done so for more than a decade. The food is consistently good and very reasonably priced. The menu does not change a lot, but there are usually regular specials. The wine list is a little limited. Parking is easy. 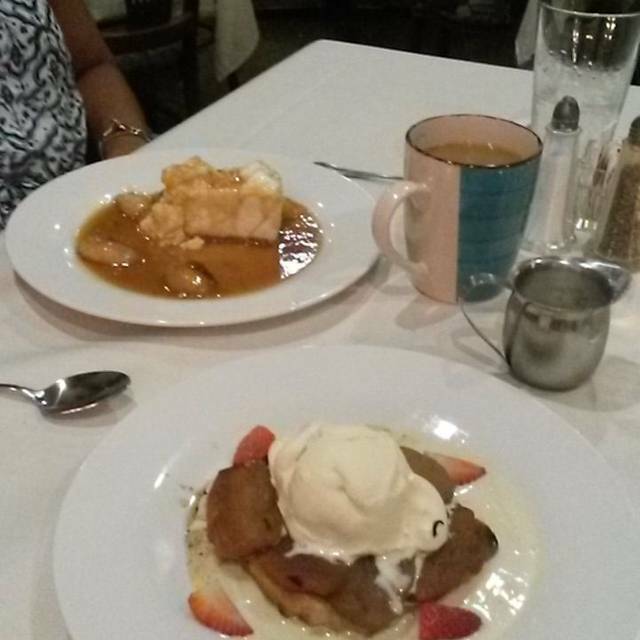 We love the food at French Market Grille. However, Patrick cannot service 10 tables by himself. We had trouble getting our water, bread (never got any), wine, salad, check, etc. We brought friends who had never eaten here before and even though they enjoyed the food, they will not return. We visit this restaurant two or three times a year. We were there for New Year's Eve. We were seated at the table by the fireplace, which was superb. The service was good. What was disappointing was the escargot. 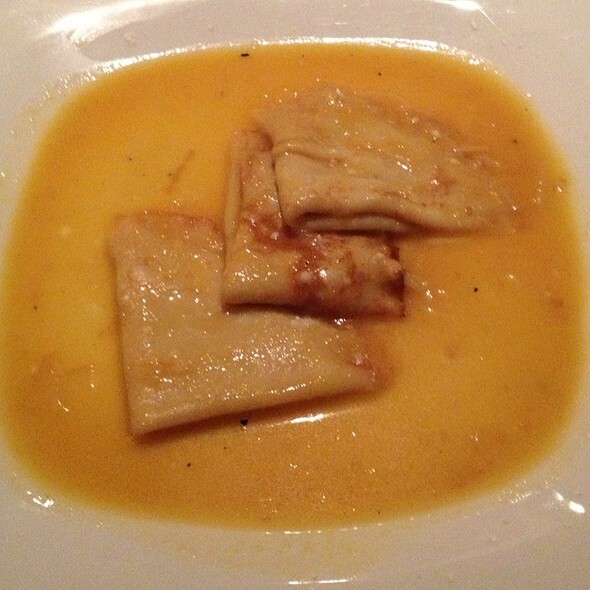 I have had that dish many times at this restaurant and it had always been very good. They seemed to be overcooked and mushy for want of a better way of describing things. Overall, still a great place to dine but it would be better on a night when it was not so busy. Food was delicious and the service was excellent. We will definitely return. excellent except I prefer that I a allowed to FINISH my first course before serving my main course as I do not like to rush. I go out to dinner to socialize, relax, take my time, and enjoy not just eat and run. But it is an excellent restaurant one of my favorites. I would love to give this restaurant a great review since I had been there many years ago both for business and pleasure & it was fabulous. On this evening, we were greeted by a gentleman who was more interested in his smartphone. He didn't care that we had a reservation & seated us. There was only 1 other couple in the restaurant. He became more snooty when neither my father nor I wished for any wine or cocktails. It was early in the evening (5:30pm) and we were attending an event in the area. Neither one of us was that hungry so when the same man came to take our orders. I was going to order some soup and salad. The man abruptly interrupted me & said that one of us would have to order an entree otherwise he would not serve us. He said their policy is written at the bottom of the menu - of course - in very fine print. I turned to my father & said we were leaving. All dressed up for a nice dinner & nowhere to go. I didn't see any mention of this "policy" on the same menu online nor anywhere. I've dined at many excellent restaurants in the San Diego area & if they had any policies, i.e. dress code, they were clearly noted. I would never recommend this restaurant, as I had in the past, to anyone. This is such a special restaurant. It's like being in a small city in France. The decor is french provincial, the food is french traditional, and the service is french to the core. 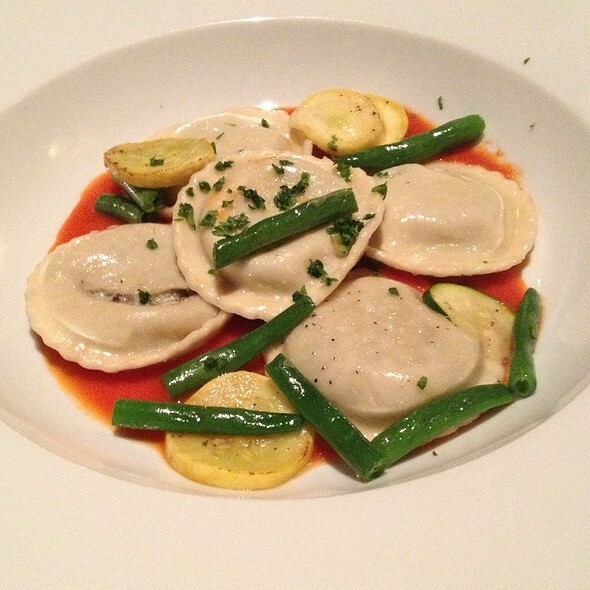 Every night, there are delicious and moderately priced specials. I love this restaurant. For a late evening, finer dining experience this is the spot in Rancho Bernardo. Always lovely food and great service. A place to linger and enjoy the food.